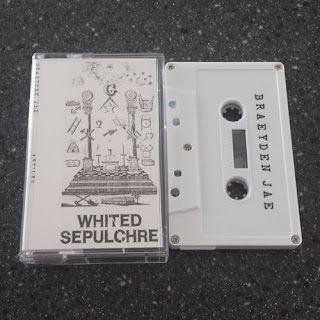 Ohio’s Whited Sepulchre label began their catalogue with a double dose of titles involving SLC’s Braeyden Jae, Fog Mirror and this fun split with Portland’s Ant’lrd. Braeyden’s side is a natural companion to the Fog Mirror LP. The initial composition, Soft Reunion (For Keith), is a bit of timestretched noise and digital manipulation tangled with a bit of rolling ambience that Jae is known for. Side A continues with Endless Endings (For Bryce) which is carefully positioned over the first cut to allow continuity. A new composition of familiar elements: decimated noise and bright ghosting chords. Braeyden’s side ends with another dedication piece, Infinity Charm (For Ann). Jae tones down the white noise and gives full reign to the organ tones. Through the clues of the track titles, Jae seems to be constructing symbols of each recipient with audio representation. Keith and Bryce may be a little grittier and up front than Ann; Ann may be easy going and… spiritual. Joseph (me) may be reading into this more than he should. 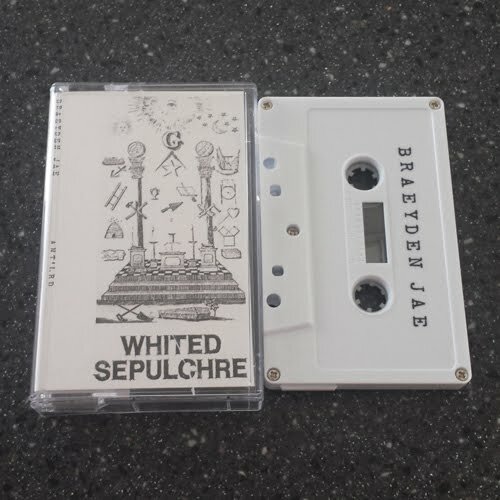 This side of material, like most of the Braeyden Jae material I have heard provides an image of the duality of existence: everything is beautiful and terrible at any given moment depending on your allowances and lenses. A listener could focus on the rough noisey backgrounds or the beautiful notes in the foreground. Some listeners may enjoy both in unison. Jae has a place for everyone. Ant’lrd’s side is a clear departure from the A. Side B contains many similar elements but used in entirely different ways. Dream River Dark Artifact is presented in three sections: bright phased chords and field recorded knocks, tremolo picked guitar and looping synth lines, and spacey tones bounding over found sound vignettes. The first trilogy is committed to Eddy and the second, The Dark Between Stars, is pledged to Crawford. The Dark Between Stars is composed of metallic edges and organ swells, crumbled low end blotches and light muttering sine waves, intermittent panning and more recordings of intimate spaces. Ant’lrd’s collection is a bit more for the impatient or adventurous listener with many more unforeseen turns and hurdles throughout than the patient pace of Braeyden Jae’s side. The split is an admirable work of gratitude from both artists and Whited Sepulchre which was made possible by a small set of donors and helpers. The community is apparent and the labor of love shines through in all facets.